Young Woman Holding Her Working Tool And Ready To Polish A Welded Iron. Banque D'Images Et Photos Libres De Droits. Image 111828843. Banque d'images - Young woman holding her working tool and ready to polish a welded iron. 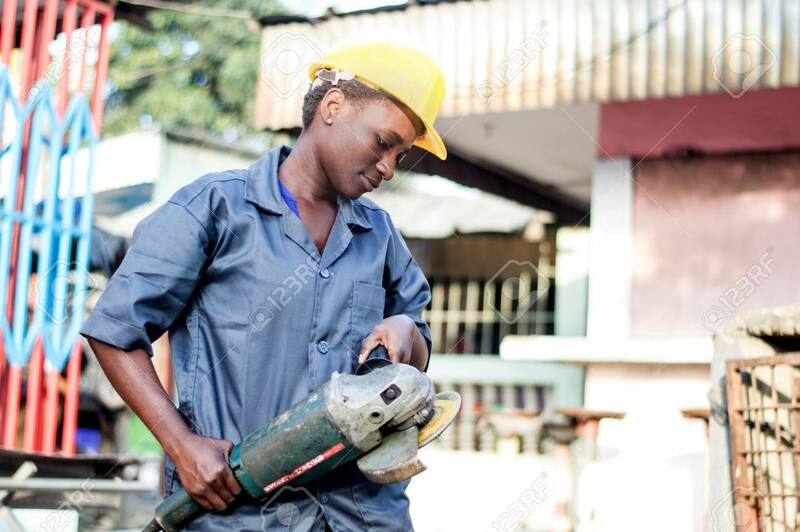 Young woman holding her working tool and ready to polish a welded iron.